With so many face masks available these days, it’s hard to choose one that works great for your skin. The biggest downside of all those masks is the ingredients. I’ve tried tons of different face masks and I can surely say that even the most expensive mask can be bad for your skin, especially if it’s sensitive. Homemade face masks are great because you have more control over the ingredients and you know that these ingredients are healthy. Check out the list of the foods you can add to your homemade masks. They really do wonders for the skin. 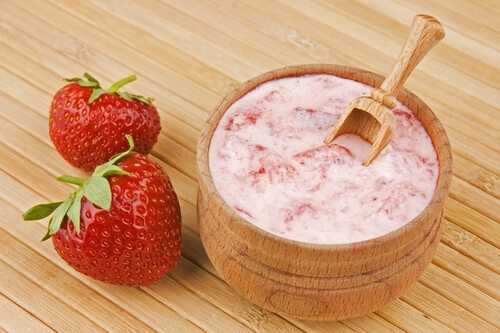 Strawberries contain salicylic acid that can help fight acne. Strawberries are actually perfect for any homemade face mask. Just mash a few strawberries, apply the mixture to your skin, leave it for several minutes and rinse it with lukewarm water. Your skin will be glowing and gorgeous in no time.